Would you rather spend your free time cleaning your home, or going out and enjoying your time? At Maid2Match House Cleaning Sydney, we offer the easiest way to have a stress-free cleaning service, at affordable prices. You can depend on us for a superior level of clean, and you don’t need to lift a finger. Best plumbers in Cherrybrook, Glenhaven, Castle Hill and the Hills District An honest, affordable plumber/gasfitter with over 30 years experience We are a small, local, super-efficient service oriented company that specialises in quick response time and quality workmanship. Our goal is simple – deliver fast, affordable, clean, reliable plumbing services to your home. Cape Cod Australia is Sydneys largest specialist designer-builder of major home additions & extensions and we operate right across the Sydney metro. License no.5519. Suite 41, 410 Church Street North Parramatta NSW 2151 info@capecod.com.au https://www.capecod.com.au/. With handyman rubbish removal services, you will get rid of piles of garbage that proves fatal for your health. We offer reliable, top-notch and convenient services to large number of customers. Contact us for availing our service on https://localhandyman.com.au/rubbish-removal/. We conduct residential demolition projects in Sydney for years and so reliability is guaranteed in our services. Our motto is to adequately plan and organise the building devastation work by abiding by safety standards.Visit: https://demolitioncontractorsydney.com.au/our-services/residential-demolition/. Our wide range of painting service across Northern Beaches has enabled us to gain more customers. We are the most experienced painters and so you will get quality assurance for sure. Handover your projects to us by visit https://paintingcompanies.com.au/our-services/. We are into this residential painting sector in Sydney CBD for a long time. Our painting contractors handle varied projects. Your exterior walls will get a new life with the splash of colour and our creative techniques. Please call us on 0417 417 400. Visit: https://exteriorpainting.com.au/painting-services/residential-painting/. Be it flooring or patios we display our expertise in each domain. Our experienced team of concreters make sure that job is done at the right time. We pay close attention to minute details that lets our clients praise us. Request for concreters quote from Sydney. Visit: https://concreterssydney.com.au/free-quotes/. Our impeccable craftsmanship is allowing home owners to revamp their interiors. We ensure that our clients don’t compromise with quality due to price. Contact the best industrial painting services in Sydney.Contact at https://interiorpainting.com.au/painting-services/industrial-painting/. We are a renowned fireproofing service provider and our extensive technologies are safeguarding lives from fire incidences. 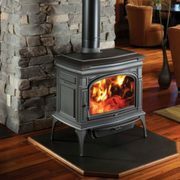 We excel in bush fire rated zones and our clients have always suggested as passive fire expert in Sydney. Visit: https://fireproofing.com.au/passive-fireproofing/. We are expert at carrying out retail fitouts like cornice fixing in Sydney. We assure you to deliver service at reasonable price. All your shop fitting issues will find one stop solution in our services. To Connect with us visit: https://gyprockers.com.au/cornice-fixing-office-fitouts-and-retail-fitouts/. Painting is filled with hassle but such hassle job is conducted by the Mosman based residential painters with ease. We provide colour consultation to our customers. Choose us if you want to increase the aesthetic appeal of your home. Just give call on 0417 417 400. Visit:https://mosmanpainters.com.au/our-services/. Our approach to a project and flawless carpentry works has helped us to increase our client base over time. We work with the most skilful carpenters who offer quality service within stipulated timeframe. For carpentry hire service in Sydney, request a free quote now. Visit: https://commercialcarpenterssydney. We conduct home repair work in Sydney with utter dexterity and dedication. Be it universities, residential building, heritage home etc. our contractors handles them all. For checking out our wide range of service, call us on 0417 417 400..
Our creative paint touches are transforming the industries across Sydney. We offer best industrial painting services across Sydney. With us you are able to get the perfect package of quality with affordability. Call us now at 0417 417 400. Visit: https://www.australiawidepainters.com.au/industrial-painting. If you are like most people your home is your most treasured possession. It’s an asset that you’ve worked hard to own and maintain. You take great pride in it and you want it to be looked after and respected. When it comes to extending your home you are faced with another huge decision. Which builder do you trust? You need to know that the builder you choose to work on your pride and joy will treat it, and you, with the respect you both deserve. Specialising in quality carpentry and timber flooring for commercial fit-outs. Our mission is to establish a lasting, rewarding relationship with you and exceed your expectations. PO Box 197 Oyster Bay NSW 2225 info@barracudabuilding.com.au https://barracudabuilding.com.au/. Welcome to All Green NewCastle Solar Installation All Green Environmental Solutions was founded on the Central Coast of NSW. With Solar Panel Cost, Solar Energy Installers Servicing Newcastle, Sydney and the Central Coast. Nowadays, home solar panels are smaller and inexpensive. However, the rewards of using it have grown. Getting high-class painting services in Northern Beaches at an affordable price is not a big deal. We are available round the clock. So, give us a class or write to us and we would get back to you as soon as possible. https://paintingcompanies.com.au/. Searching for one stop paint solutions in Sydney? Come to Exterior Painters Sydney and all of your painting needs would be fulfilled. Visit our website to know more about our service. You can also call us. https://exteriorpainterssydney.com.au/. Worried regarding the presence of lead in your house paint? As long as lead paint removal experts in Sydney CBD are with you, you don’t need to be stressed. Contact our professionals and get rid of the harmful element safely. https://exteriorpainting.com.au/. Planning to hire epoxy painting service in Sydney? We have wide experience and subtle knowledge. Once you appoint you, it is our responsibility to provide you with a satisfactory job. Get in touch and request a free quote now.. Looking For An Established Concreting Company In Sydney? Do you want a popular concreting company in Sydney to perform a concreting job in your property? Don’t worry as Concreters Sydney will always be with you, no matter how complex the task is. Call us now. https://concreterssydney.com.au/. No matter whether it is a ceiling installation, cornice fixing or gyprock plastering job, Sydney Gyprockers are here to support you. Call us, discuss with us about the project and then just relax. Our experienced professionals know how to satisfy your requirements. https://gyprockers.com.au/. Want to get rid of the old house paint? Want to try something exciting? Then get in touch with Mosman residential painters and let the professionals enhance the appearance and value of your home. Request your free quote now. https://mosmanpainters.com.au/. Building services in Sydney have undergone a massive change in recent years. So, if you are looking for the latest trends in this service, then Pacific Building Services would be your ideal destination. Contact us now. Visit: http://www.pacificbuildingservices.com.au/. Looking for commercial painting contractors in Sydney? No matter what your painting requirement is, Australia Wide Painters would always stand by you. Call us and get your no-obligation free quote now. Visit: https://www.australiawidepainters.com.au/. Gutter cleaning is crucial to avoid blocked pipes that cause major electrical and fire hazards to your home. Gutter Cleaning Sydney Hills Area & surrounds. 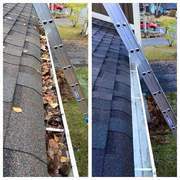 More info visit -- http://www.tsrd.com.au/gutter-cleaning/ Services -- Gutter Cleaning Services Roof Repairs Sydney Leaking Roof. Home repair services, maintenance services Sydney ads Sydney, Home repair services, maintenance services classifieds Sydney, Home repair services, maintenance services free ads Sydney, ads for sale Sydney, ads to buy Sydney, FREEADSAustralia. Find here ads for sale, to buy and rent in Sydney. Goods for sale in Sydney, vehicles for sale in Sydney, Sydney real estate for sale, Sydney property for sale, property for rent in Sydney, business ads in Sydney, Sydney business classifieds, services in Sydney, Sydney services ads, jobs in Sydney, pets for sale in Sydney, Sydney dating, Sydney cars for sale.